GFI Software has been recognized for the quality of its customer support and product documentation by the Society of Technical Communications (STC). The STC is an international professional association that evaluates technical communications between companies and customers, and assesses the standard of technical support, product documentation, and company training materials. The aim of the STC is to advance technical communications and promote better content and information management via technical processes. The non-profit organization helps businesses improve their technical support across all media to ensure customers can use products safely, securely, effectively and get the best value from their investment. This year, the GFI Software team has collected four STC awards in the international and regional categories of the STC awards program. In the User Support: Help category, GFI Software collected a Distinguished Technical Communication Award and a Best of Show Award in the regional subcategory, with its regional support also competing with the GFI Help System. The GFI Help System won an Excellence Award in the User Support: Help category of the STC international competition. In the Instructional Materials: Other Training Materials category, GFI collected a regional Award of Excellence and was competing with the GFI Training Portal. Other competitors for the awards included Allegis Group, Eaton Corporation, RTI International, and the SAS Institute. 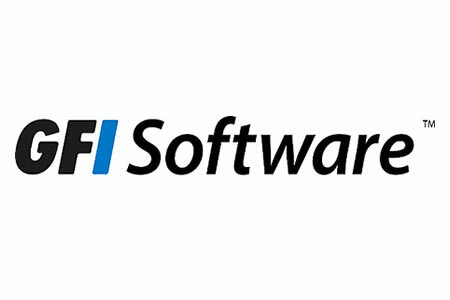 While GFI Software has developed its products to be as intuitive and easy to use as possible, customers still require first class support and documentation to avoid issues when installing, configuring and using the solutions. The awards recognized the quality of the materials supplied by GFI Software to help its customers get the most out of its products. “Here at GFI Software we strive to make our products as intuitive as possible even when the product function is a complicated one. The same ethos guides us when creating instructional material which is easy to use, reliable and functional,” said GFI in a statement about the STC awards win.